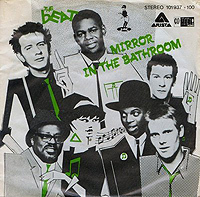 The Beat (known in North America as The English Beat) were a major part of the 2 Tone ska music revolution of the late 70s and early 80s, alongside their stablemates The Specials, Madness, and The Selector. 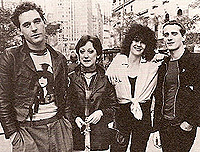 Their songs fuse ska, pop, soul, reggae and punk rock, and their lyrics deal with themes of love, unity and sociopolitical topics. 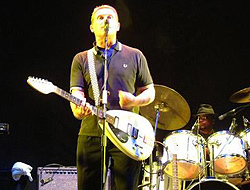 I recently had the opportunity to speak with original co-founder and lead singer Dave Wakeling about the early days, about the origins of 2 Tone, about the bands name, and, of course, penguins! 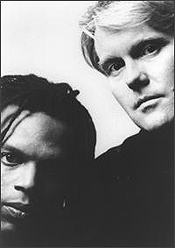 Taking it from the top, and being that The Beat was formed in the UK in 1979, during a period of high unemployment and social upheaval, what did you want you music to achieve back then? “One of two things. Either a good dance on the way out or, perhaps, it just blew the embers enough that there would be some sort of way through this. People did feel very bleak about it and not just the recession part of it. But even more so the vague, and ominous nuclear spectre. Like, somebody’s gonna let one off in a minute. A sense that you were on the S.S. Great Britain, which was an American nuclear aircraft carrier that was just parked outside Europe,” he laughs. 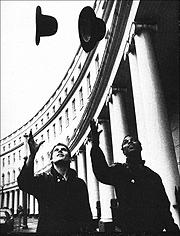 “But, us mixing punk and regaee suddenly got wrapped up in racial politics. Although I still won’t go along with that because there’s only one race, isn’t there: Homosapians. It’s really odd how we stretch the words we use to try and make a point in that direction, really. Like white people aren’t white, and black people aren’t black. 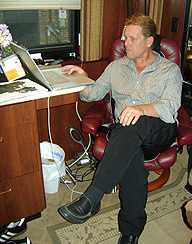 But if you had to have a race war between pinks and little-brown people it would be hard to get a race war going, wouldn’t it,” he laughs. “I said we hadn’t, so he said, ‘if you’re interested in management, I think I could help you with the name.’ I then got all punky and said, ‘Oh, that’s nice. 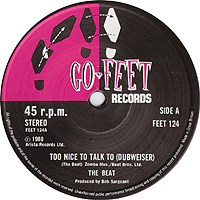 I suppose if next week another band called The Beat shows up and they’re even a bit better than us you’d do us in like you’d do your mate, Paul Collins!’ I never heard from him again,” he laughs. “I then thought about where else you would see that … and it was a restaurant. A poor guy, as well. I think he thought he was doing great, but she was looking at her own reflection in the mirror of the table all night. It was one of those glass tables with that polished steel cocaine architecture and all that and she was like checking herself out. And he thought she was just being demure and looking down,” he laughs. Too Nice to Talk To - “Barbarella’s Night Club in Birmingham on Broad Street. You could go there and dance the night away. But, at twenty past two, all the lights came on, and all the dreams you had been living - like, ‘Oh, I’m gonna have a word with that bird’ - suddenly came to a crashing halt! So, that was the start of it: ‘It’s too late now, it’s twenty past two, I’ve spent all night just watching you. I watched you dance, I watched you move, I kept really still and watched you move away’,” he laughs. Hands Off She’s Mine - “Me and another chap … school uniforms involved … with lingerie … stockings … being picked up from school on a motorbike! Yeah, so that was worth fighting over, wasn’t it,” he laughs again. “So, I often use that illusion to the band where at times of trouble between us, I tell them, ‘We’re just like Emperor penguins here lads. 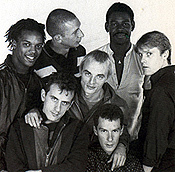 Shoulder to shoulder for the glory of Ska. If you’re feeling a bit cold f**k off into the middle of the pack. Watch that egg … don’t break it. It’s not worth breaking eggs over. Just get in the middle of the pack and shut up’,” he laughs. 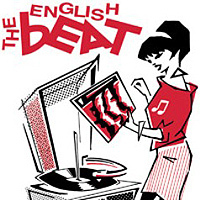 Click here to read the latest English Beat in concert review!